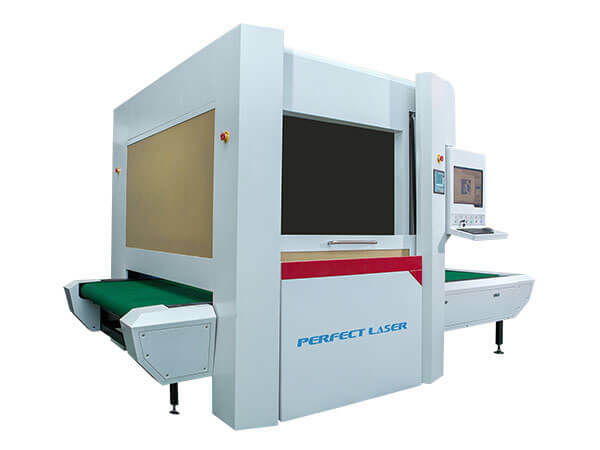 Perfect Laser is a world famous manufacturer for jeans laser engraving machines. The denim and jeans laser engraving machine is catering to the demands of replacing traditional washing processes. With 3D dynamic large-format galvanometer marking technology, this system is specifically developed for jeans, denim, garment engraving. Equipped with circulation type material feeding processing technology, the jeans engraver and denim laser engraving machine engraves patterns on specified positions during the process. Thereafter, the material automatically moves to the engraving area with the help of a conveyor. 1) Perfect Laser specially designed this machine for denim and jeans engraving, successfully replaced traditional processing. energy-saving, software interface-friendly, no pollution and strong personalized. 2) Circulating convey processing. While in the process, at the same time jeans laser engraving machine also can load material with high productivity. 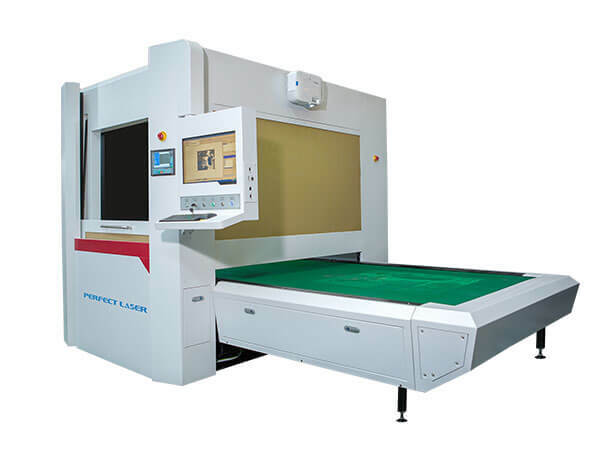 3) This jeans laser engraving machine is equipped with USA original 500w Co2 RF metal laser and triaxial dynamic large-format galvanometer control system, Low maintenance cost. Fully closed structure. Smoking effect is good. Safe and reliable system. 4) The denim laser engraving machine can engrave a variety of personalized designs such as cat whiskers, monkey wash, PP spray, hanging rub, ripped, sandblasting, snow, portrait and other effects with clear texture and never fade. 1.Suitable for jeans, denim and corduroy engraving. 2.Applicable to jeans, apparel and household products industry. It is also called jeans laser engraving machine, denim laser engraving machine, jeans engraving machine, laser cut denim, laser cut jeans. BMP, AI, DST, DXF, PLT, etc.